PARIS --- The roll-out of the first Short Take Off and Vertical Landing (STOVL) “B” variant of the Lockheed Martin F-35 Joint Strike Fighter is an apt time to look back, and compare what Italy was promised in terms of work with what it is actually getting. Since earlier this year, when Italian officials first began publicly complaining of major shortfalls in promised F-35-related work, it has been clear that Lockheed Martin and the Joint Program Office have not lived up their promises; but few anticipated that the situation was as bad as it is. The Italian ministry of defense said the May 5 roll-out ceremony was held to “give the deserved recognition to the plant workers and to all those who have worked for, and contributed to this important phase of the acquisition program.” The ceremony was attended by air force and navy chiefs and the chief of the defense staff, but pointedly not by the Minister of Defense or any other ranking politician. The Final Assembly & Check-Out facility at Cameri, near Novara northern Italy, was originally expected to be the only such facility, and was to assemble F-35s ordered by Italy and the Netherlands, and to subsequently support and maintain all F-35s in Europe, including those belonging to the United States. 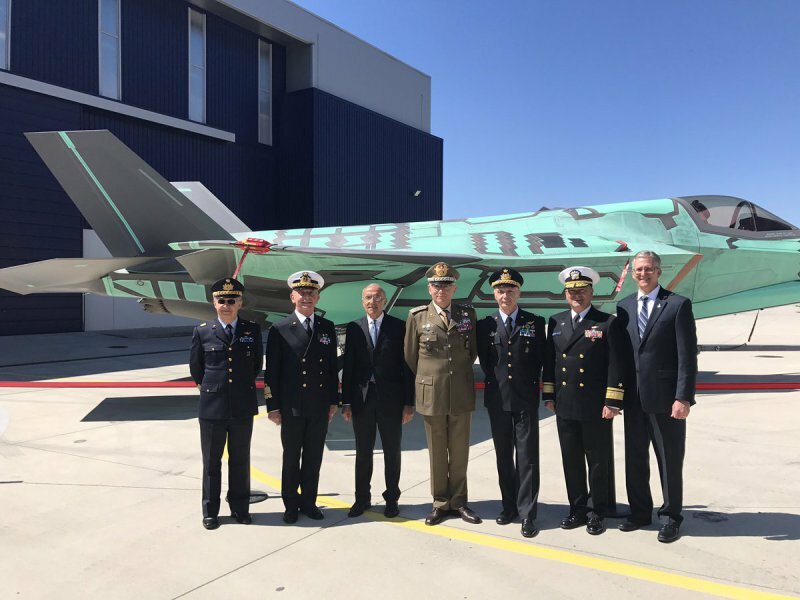 Italy spent €795.6 million to build the FACO, but since it joined the program the volume and scope of F-35-related work at Cameri has been much reduced. As things now stand, the FACO will assemble only 119 aircraft (90 for Italy and 29 for the Netherlands, or just 44% of the original target ), only 835 wing-sets ( -31%) and will employ only “over 800 people” – about 55% fewer than promised. And even these levels might not be final, as the F-35’s continuing technical defects, the growing cost of fixes and upgrades, and continuing uncertainty over orders and deliveries may well further reduce orders. To date Italy has only ordered ten F-35s (Nine F-35As and a single F-35B), and received seven F-35A, four of which are at Luke AFB, in the United States, and three are at Amendola air base, in southern Italy. The situation is potentially even worse for the sustainment work that Italy was promised for Cameri. “Italy was chosen from among many countries as a maintenance hub for all the F-35s flying in Europe, including the US aircraft flying here,” Italian defense minister Roberta Pinotti said when the choice of Cameri was publicly announced in December 2014. But last year, when the JPO announced how maintenance work would be apportioned, British and Dutch firms won part of the work originally promised to Italy. The MoD added that the British F-35 maintenance site would eventually work up to become “a global repair hub providing maintenance, repair, overhaul and upgrade services for F-35 avionic and aircraft components,” thereby absorbing further work that will not go to Italy.